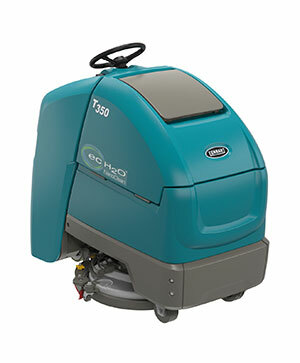 Green Machines 636 Series air sweeper manoeuvres easily in congested public spaces to quietly clean with minimal dust any time of day. Increase cleaning run time and reduce dump cycles with the large 1.3 yd3 / 1m3stainless steel hopper. Large hopper improves productivity and increases cleaning run time by holding up to 600 kg of debris. Variable brush pressure and speed reduce brush wear and maintenance expense. Adjustable sweeping path effectively cleans in narrow and congested areas to maximise flexibility. Water ejection port increases productivity in wet conditions by enabling continuous sweeping without interruption. 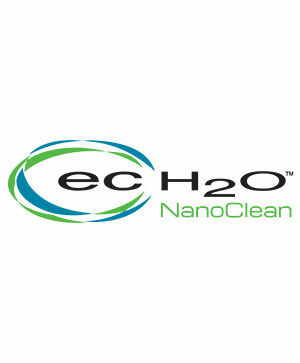 Protect employees, visitors and citizens from potentially harmful dust with CloudMaker® wet dust control technology and three-stage dust filtration system. 3-stage cyclonic dust control technology increases safety and protects employees and outdoor areas by capturing fine dust particles. Vari-track™ extendable front track provides remarkable stability and enables safe travel at higher speeds. Front wheel steering is designed to increase safety and manoeuvrability. Voice warning system keeps pedestrians and others in the work area safe by informing them of immediate cleaning in process. Keep your outdoor spaces always looking great with a powerful suction system that allows effective pick-up of nearly all types of litter and debris. Exceptional CloudMaker® wet dust control technology knocks-down fine dust particles so your community or facility always looks its best. Maximum 2,050 mm sweeping path enables you to quickly clean large areas to improve your community’s image. 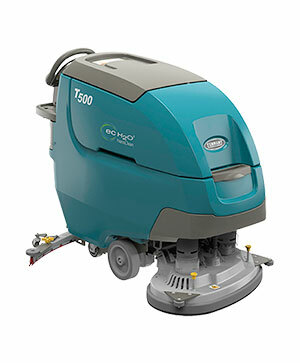 Engineered to provide cleaning versatility to sweep open or congested areas. 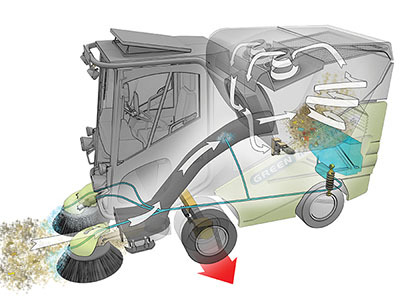 Parallel brush arm system automatically provides correct brush position to deliver consistent sweeping performance. 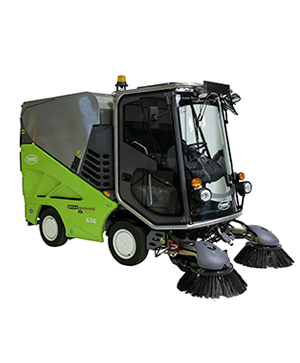 Deliver consistent sweeping results with this easy-to-operate and maintain sweeper that features adjustable brush pressure and simple one-button operation. Tilting cab and hopper provide complete access to all major systems and enable quick and easy routine maintenance and service. Variable brush speed controlled from the cab reduces brush wear and requires less frequent brush changes. 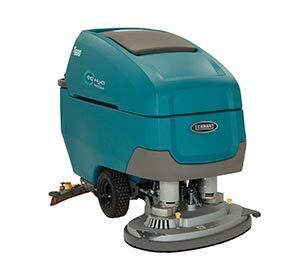 Independently-operated dual brooms enable easy sweeping around obstacles for detailed cleaning wherever needed. 1-Step™ start button activates all sweeping functions for easy operation.